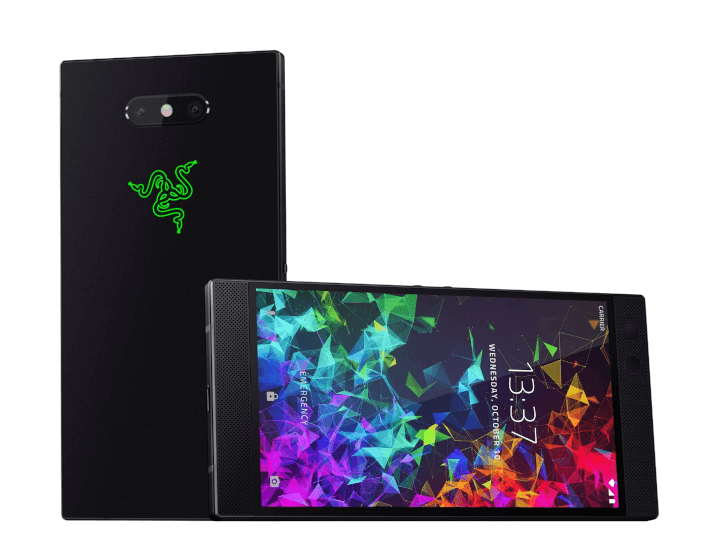 Razer, having successfully launched her first gaming phone in the lastquarter of 2017 have decided to make that first display a yearly routine with the manufacture of the Razer Phone 2. Introducing the Razer phone 2, a pine dedicated for gaming experience, a smartphone that comes with true and dedicated features that is meant to keep a true gamer satisfied. The Razer Phone 2 is actually the successor of the Razer Phone. 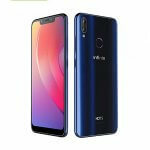 It was announced in October 2018, it comes with a lot of improvement as compared to her predecessor. The Razer Phone 2 is no doubt a flagship gaming phone, if you have seen the first Razer Phone in Nigeria, you will really appreciate the brains behind a dedicated gaming smartphone. On the Razer Phone 2, you will find essential features like fast processor, amazing cameras, a very strong battery, better audio experience and an illuminated Razer logo at the back. 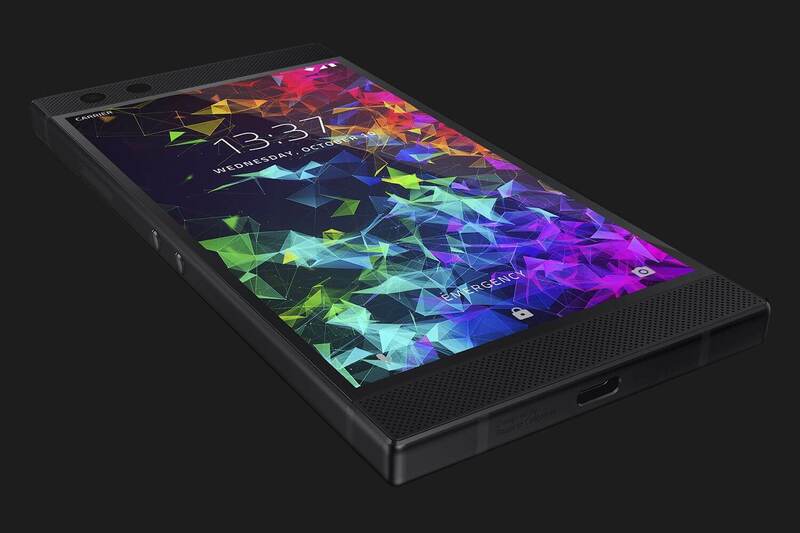 Here’s a full detail about the Razer Phone 2. The Razer Phone 2 currently available for purchase. For customers living in Europe, Asia-pacific and the United States, you can order now from Razer official website (razer.com). 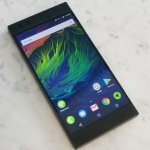 The Razer Phone 2 is currently not coming to Africa neither is it coming to Nigeria yet. 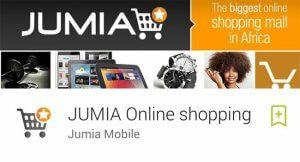 If you are in Nigeria and you are dearly in need of this smartphone, I suggest you buy from amazon. 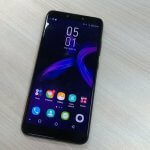 The design of the Razer Phone 2 might not really impressive you especially now that all-screen phones are gradually dominating the smartphone market in Nigeria. On the Razer Phone 2 are two wide bezels; one at the top, the other at the bottom. The presence of these bezels are very vital for firm hand grip while gaming with the phone. 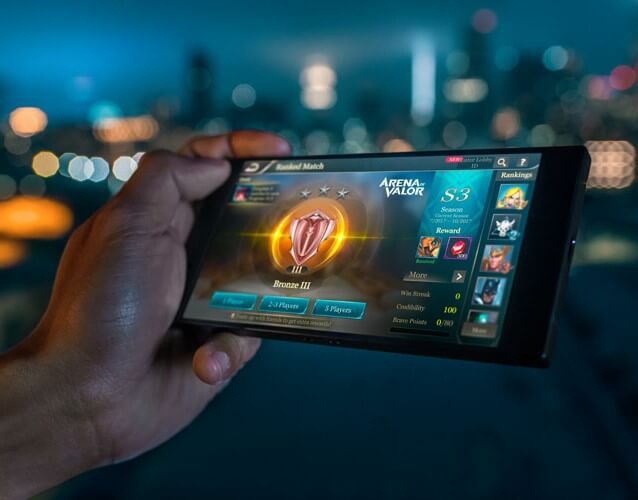 Imagine gaming with an all-screen phone in Nigeria? How would you place your hand? In front of the Razer phone 2 is a dual front-facing stereo speakers with Dolby Atmos Technology. There is also a receiver and front-facing camera at the top bezels. The Razer phone 2 now have a glass frame that allows for wireless charging. There also no 3.5mm headphone jack but you can make use of the USB-C audio adaptor that comes with 24-bit DAC. The Razer phone 2 also feature an illuminated Razer logo at the back. This logo has a customizable Razer chroma that comes with RGB lighting. On the Razer chroma, you will find a configuration app that you can use to toggle with over 16.8million color options and choose from three distinctive lighting effects; static, breathing, and spectrum. The Razer phone 2 has a 5.7inch multi touch display that is protected by a corning gorilla glass 5 with anti-fingerprint protector. The 5.7 inch screen has wide color gamut, better color accuracy and HDR content support. It is now 50% brighter than the first Razer phone we saw in Nigeria. On the Razer phone 2 is a 1440 x 2560 LCD display resolution that is operating at 120Hz. With the 120Hz refresh rate you are definitely not gonna have any disruption whatsoever. You can decide to take advantage of the Razer game booster software and use it to optimize and launch games you desire to play in Nigeria. You can even modify some custom settings like resolution, frame rate and CPU clock speeds to suite your gaming needs while in Nigeria. On the Razer phone 2, there is a Razer cortex mobile app to help you find a well sorted out list of popular mobile games in the industry. With the Razer cortex mobile app on board, you will be very much informed about the latest trend in gaming. In fact you will be among the first to play any recently released game in Nigeria. 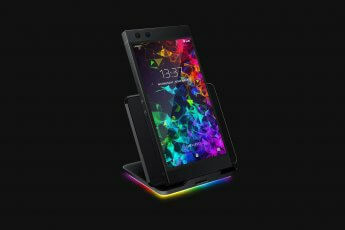 As expected the Razer Phone 2 boost a 4,000 mAh Li-Po battery capacity that is long-lasting, it can last for up to 10 hours when playing games even at 120 Hz refresh rate. The Razer phone 2 have wireless charging feature as mentioned earlier; the presence of the glass frame at the back will make this feature work even better in Nigeria. Thank God Razer did not forget to include a Qualcomm Quick Charge 4.0 + feature that allows for fast charging. So you can run your battery down and have it charged in less amount of time. The previous version of Razer Phone had a poor camera, it was among the weak spots of the phone. But in the Razer phone 2 a lot of improvements was done on the camera. Aside gaming, the razer phone 2 is also well equipped with camera features. In front is an 8MP selfie camera with f/2.0 aperture and FHD video support. On the rear are two 12MP dual-camera lenses setup with Sony IMX sensors and a wide lens with optical image stabilization and 2x zoom. While the first 12MP camera with f/1.75 aperture is for wide lens, the second 12MP camera with f/2.6 is for telephoto lens, it has 4k video recording. The Razer phone 2 is currently the only smartphone with a sincere 120 Hz screen, this includes both touch sampling and display refresh rate. On the Razer phone 2 is an upgraded 2.8GHz processor with vapor chamber cooling. You are not gonna witness any lag while gaming, everything runssmoothly here. Should in case your Razer Phone 2 get submersed in water, you need not to worry because it is IP67 water resistant, it can survive in at least 1 meter of water. When it comes to fast browsing, the Razer phone 2 does it really fast; there is 4G network that runs with a speed of up to 1.2 Gbit/s. 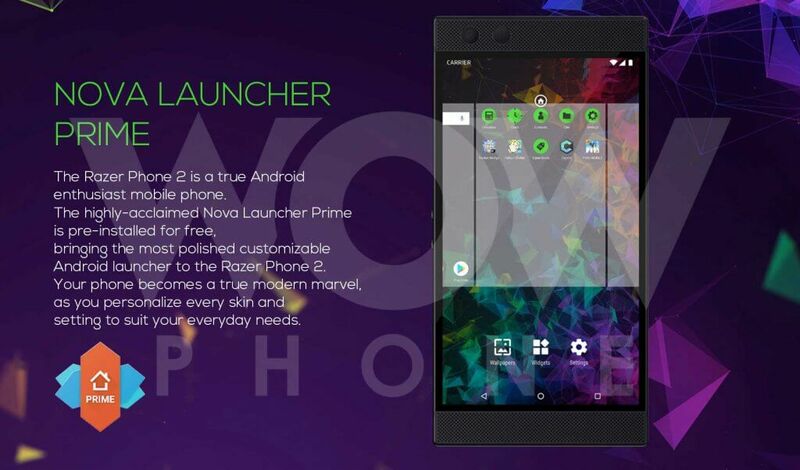 On the software is an Android 8.1 Oreo OS that comes with a preinstalled Nova launcher prime that is coming with the Razer phone 2 for free. For those who have used the Nova launcher prime before, you can very well testify how wonderful this UI is; now you are getting it for free. Thank you Razer! For those who haven’t heard about Nova launcher prime in Nigeria before, nova launcher prime gives you freedom to tweak every skin and settings to suit your style. The Razer phone 2 is not only a flagship gaming phone, it is also one of the fastest around considering its 120Hz refresh rate that is hard to find on most flagship phones in Nigeria. True, the Razer phone 2 is the nothing more than the best gaming phone in Nigeria. It is currently my number one choice for hands-on gaming. 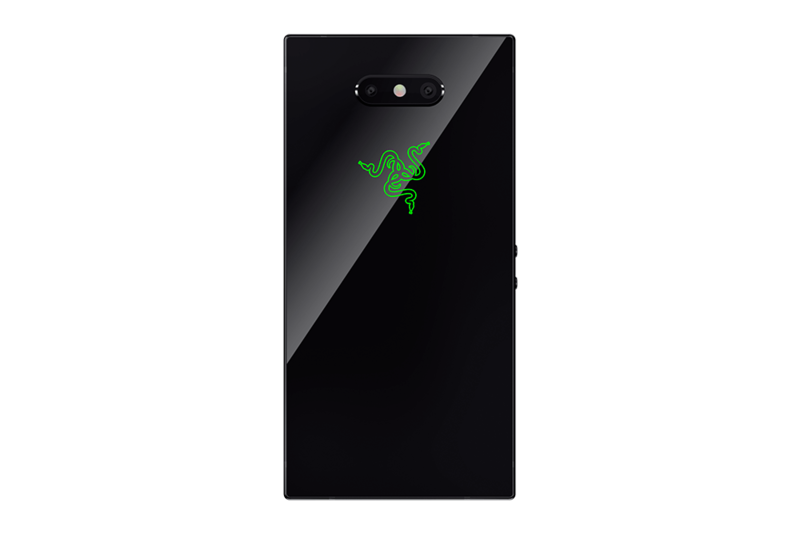 My only downside with the Razer phone 2 is the design, it still has that boxy looks that seem old-fashion. If Razer really want to keep some bezels, I wonder why they won’t do it with style. 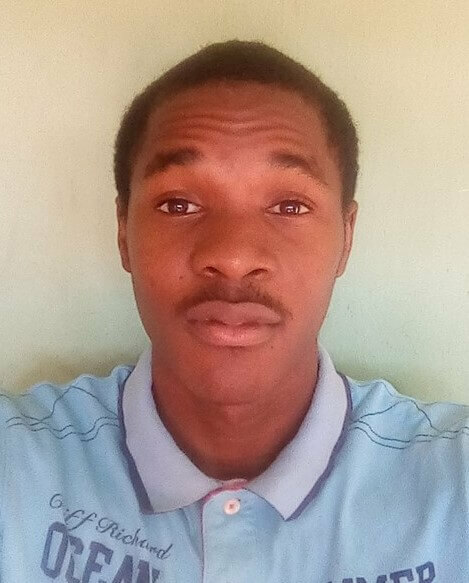 A big thanks to David Enabs for putting up the initial peice together during the commencement of this review.